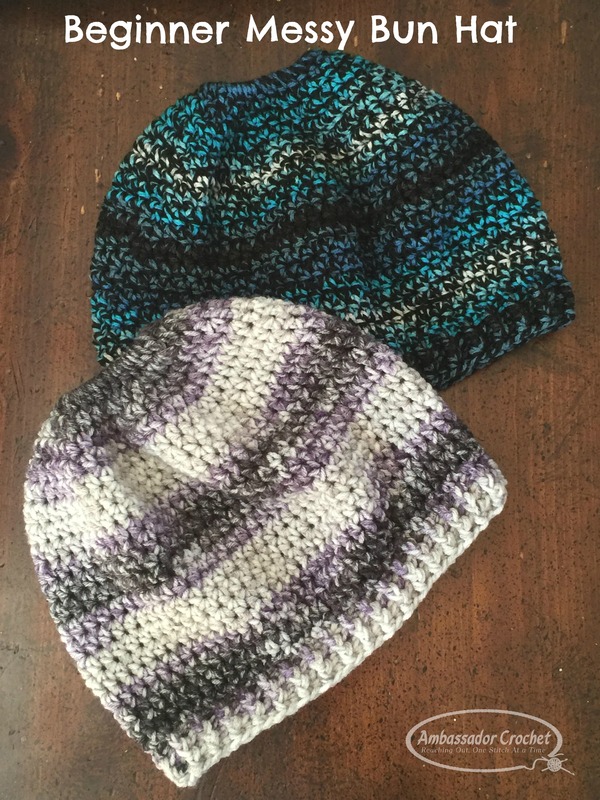 It’s another free messy bun hat pattern. I do realize they’re everywhere, so I wasn’t going to jump on the bandwagon. Don’t get me wrong, they’re cute, and I wear my hair in a messy bun A LOT, but I don’t have time…..or so I told myself. Then I got an order, and another, and another. Before I knew it I had 6 or 7 orders (I stopped counting). Now I’m left to weed through hundreds of messy bun hat patterns because I didn’t fall in love with just one to purchase. There are TONS that I would love to make, but I just wanted something basic to start with. But just because a pattern is basic doesn’t mean it has to look boring. Add some stripes or use ombre yarn and you have a completely different look. I have made this pattern available for free on my blog. If you would like a downloadable pdf it is available for a small fee in my shops. Finished Size: Fits most adults. For help with abbreviations – see my List of Abbreviations. FPhdc (Front Post half double crochet) – yo, insert hook from right to left behind vertical bar of next st, yo, pull up loop, yo, pull through all 3 loops on hook. BPhdc (Back Post half double crochet – yo, working behind next st, insert hook from right to left in front of next st, yo, pull up loop, yo, pull through all 3 loops on hook. NOTE: This messy bun hat is made from the crown down to the forehead. I chose to use a hair tie (elastic) so that the opening will stay smaller and not stretch as easily. If you would like to leave out the elastic, you can start with ch 30, sl st in 1st ch to form ring, then continue with round 1 instructions. Round 7–18: Ch 1, hdc in same st as join, hdc in each st around, sl st in 1st hdc to join. Round 21: Ch 1, FPhdc around 1st FPhdc, *BPhdc around next BPhdc, FPhdc around next FPhdc, rep from * around, sl st in first sc to join. Round 22–23: Rep Rnd 21. Don’t forget, there is an ad-free PDF version available for a small fee in my shops. Love the pattern. But when you go to print out rows 3 & 4 do not print out. Just thought you might want to know. Are you trying to print it from my blog? I don’t have a print app, which could be why. I do have a pdf version available for purchase. It’s a small fee that covers listing fees those that don’t want to go straight to my blog for the free version. Sorry if it’s inconvenient. In the 6th row should it not be “in the next 6 sts, 2 hdc in the next st, *hdc in each of the next 7 sts? Yes! Thanks for the correction. I have updated the pattern. 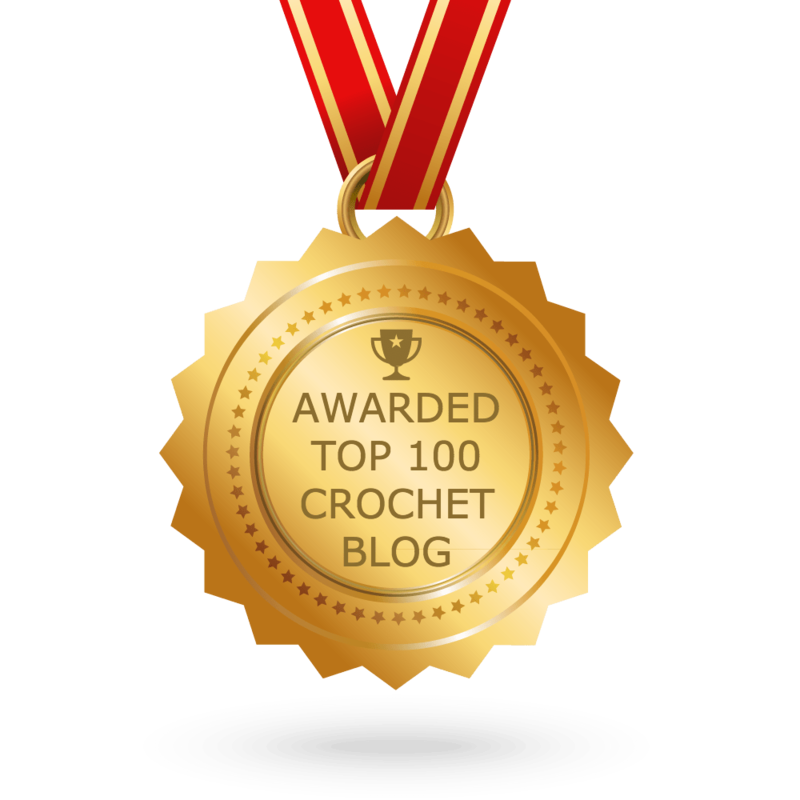 How do you half double crochet around an elastic? Can’t find a “how to” anywhere online. Insert your hook through the center of the elastic and pull up the loop. So your elastic would be the equivalent of your previous row that you’re working into (hopefully that makes sense). Kristine, the hat that you have on in your picture, where can I find that pattern?? It’s the Sundial Hat pattern. You can find it in both my Ravelry & Etsy shops. Sometimes mine remind me of that, but when I lay them flat they look different. If it doesn’t look like this flat can you send me a picture? Maybe we can figure it out. Where can I find your email ? The dimensions would come out smaller with a #3, so you’d have to add at least one (or more) increase rounds. I’ve attempted this pattern 3 times now and the count has been off each time. All my efforts to adjust it aren’t working. I’m not using an elastic – are you sure the chain count to start the pattern should be 30? Hi Amber, what are you trying to adjust and which round ends up off?